I have changed my email address to scherlund@e-doctor.eu today. See the top of my weblog. Children and adolescents in modern societies are growing up in a world where digital technologies are ubiquitous. The widespread use of Information and Communication Technologies (ICT) and online services by youngsters in their everyday life for leisure, entertainment and social interaction is impacting their learning needs, requirements and expectations. They need to learn skills and competences for self-development, participation in society and for future jobs. They are also increasingly using ICT for any learning purpose, often outside the classroom. This gives rise to a "new learning generation" (also labelled New Millennium Learners by OECD/CERI) and to new ways of learning, including informal modes, which are strongly enabled albeit not determined by the possibilities offered by ICT. 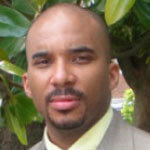 Director of Research and Analysis Brandon Hall Research. Mobile learning has been talked about for at least ten years, but is only now becoming a realistic possibility. That is because the technological advances needed for new innovative applications are just now coming on stream. Senior Analyst Brandon Hall Research. Using social media to foster workplace learning requires rethinking instructional strategies and delivery channels. What social media are being used for workplace learning and how do you use them? The movement towards Web 2.0 learning technologies has meant an increase in emphasis on collaborative learning instead of just individual training. This, in turn, has resulted in the production of new knowledge within organizations that can be seen as a form of improved collective intelligence. In this one hour webinar, Dr. Gary Woodill, Director of Research and Analysis at Brandon Hall Research, will present his understanding of both collaborative learning and collective intelligence, and how they work together to make smarter organizations. Brandon Hall Research is pleased to partner with Saba as a technology provider for this Webinar series. For more information about Saba Centra, click here. Today I have Karen Schweitzer guest blogging. Please be sure to check out her guest post. Guest posts are always welcome, please contact me. Technology and Society - University of Southern Queensland; an examination of how politics, law, culture, and economics affect technology and society. Ethics - Capilano University; a 15-part study of morality and how it relates to politics, medicine, law, religion, and education. Capital Markets - University of California-Irvine; an overview of investment markets around the globe. 'Shrinking' the Economy - University of Nottingham; the psychology of business and recession. Visual Communication Design - Carnegie Mellon University; an introduction to the fundamentals of designing technical documents. Multicultural Education & ESL Education - Dixie State College of Utah; a study of multicultural issues in ESL education. Forensic Biology and Impression Evidence - Kaplan University; a 10-section course covering biology, DNA, fingerprinting, and computer forensics. Playwriting I - Massachusetts Institute of Technology (MIT); an introduction to the art of theatre writing. Introduction to the Horse Behavior and Welfare - Michigan State University; an overview of horse behavior and management. Genetics - Tufts University School of Medicine; the science of genetics as it relates to medicine in inherited diseases and illnesses. Fundamentals of Business Analysis - University of California-Irvine; an examination of how information and technology relate to business. Social Attitudes and Public Opinion - University of Massachusetts, Boston; a 13-week PowerPoint lecture on the social attitudes. Dental Materials - University of Michigan; an overview of the materials used in dentistry. Individualized Reading Instruction in the Elementary Grades - University of Michigan; a presentation of techniques for assessing reading and writing skills. Frontiers and Controversies in Astrophysics - Yale University; an exploration of three rapidly changing areas of astronomy. Introduction to Writing: Academic Prose - Utah State University; an English course that teaches students how to write academic papers. Jews and Christians throughout History - University of Notre Dame; a theology course that explores religion throughout history. Automotive Electronics - Weber State University; a study of the electrical fundamentals of meters, wiring, and repair. Natural Science Parts I and II - Western Governors University; an intro to the fundamentals of natural sciences through tasks, assignments, and a test. Medical Terminology - Eastern College of Utah; a multi-unit course that teaches terminology through case studies and health care articles. Environmental Health - John Hopkins Bloomberg School of Public Health; an examination of the risk of pollutants in our environment and the impact they will have on the future. Geography - University of California, Berkeley; a 48-lecture podcast on globalization. Creating Interactive Multimedia - University of Queensland Australia; a study of the tools, techniques, and resources used to create interactive multimedia. Voice-Leading Analysis of Music - The Open University; students learn voice leading through analyzing the harmonic structure of sonatas. Geometry - The Open University; a three-unit intro to geometry. Guest post from Karen Schweitzer, who writes about online colleges and universities for OnlineCollege.org. Many thanks to Karen Schweitzer. Tech & Learning's award-winning editorial team brings you a webinar hot on the heels of its special three-part series "Follow the Money." Hear from industry experts and ed tech leaders as we discuss and dissect the fine print of President Obama's federal stimulus plan and what it means for education technology in America's classrooms. Plus, find out how you can get your hands on some of the money, implementation strategies, and get inspired by projects already in the works. 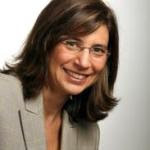 Hilary Goldmann is the Director of Government Affairs for the International Society for Technology in Education (ISTE), and has more than 20 years of experience working in the public policy and advocacy arena. She is responsible for developing and executing ISTE’s federal and state public policy agenda and mobilizing its grassroots efforts. Her “Voices Carry” column is a regular feature of ISTE’s Learning and Leading with Technology magazine and her “inside the beltway” presentations are popular features at ISTE Affiliate state conferences and other national conferences..
Before joining ISTE in July 2005, she led the Higher Education Information Technology (HEIT) Alliance, a coalition of 10 U.S. higher education and library associations that was established to promote the higher education and library community’s interests in federal information technology policy. 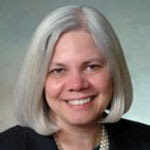 Prior to her work with the HEIT Alliance she was the Director of Congressional Relations at the American Association of State Colleges and Universities (AASCU), where she headed up AASCU’s policy and advocacy efforts on budget and appropriations, teacher preparation, information technology, science education and research, and managed the association’s grassroots activities. Ms. Goldmann got her public policy start as an aide to former U.S. Senator Howard Metzenbaum. She is a graduate of the State University of New York at Binghamton. Dr. Pamela Moran Superintendent, Albemarle County Public Schools, VA.
Dr. Pamela Moran, superintendent, serves the learners of Albemarle County Public Schools in Virginia. For more than 30 years, she has held a wide variety of teaching and leadership roles in elementary, middle, and high schools as well as at the district level. As an adjunct instructor for the University of Virginia, Pam Moran has taught instructional and leadership courses across the state. The experience of working at all levels of public schooling provides her with a deep understanding of both the vertical and horizontal challenges and opportunities being explored by PK-12-16 learning communities today. Connecting with other public school educators to make sense of needed transitions in our field as we close in on the second decade of the 21st Century is a passion. Pam is energized by conversations with young people who relish emerging technologies as learning and communication tools, and see themselves as contributors to the communities in which they live. Engagement with teachers and principals who believe, as did Horace Mann, “when a child has no hope, a nation has no future” inspires her. She holds a B.S. degree from Furman University and a master’s degree in Curriculum and Instruction and a doctoral degree in Educational Leadership and Policy Studies from the University of Virginia. Dr. Luvelle Brown CIO, Albemarle County Public Schools, VA.
Luvelle Brown currently serves as the Chief Information Officer (CIO) for the Albemarle County Public Schools in Virginia. Previously, Dr. Brown has served as Executive Director for Division and School Improvement, principal, assistant principal, and teacher. Dr. Brown has enjoyed much success as a leader in efforts to produce outstanding academic achievement in schools with significant at-risk populations. His efforts have been recognized state-wide and nationally. Notably, Dr. Brown was invited to Capitol Hill to attend the “National African-American Leadership Summit” to meet with Senators and Cabinet members to discuss strategies related to closing the Achievement Gap. Dr. Brown is committed to professional development, serving as an adjunct professor and regular speaker at national, state, and district conferences and workshops. Dr. Brown attended the University of Virginia earning a Bachelors of Science, Masters of Teaching, Educational Specialist, and Doctorate degree. Additionally, he is an active member of the Kappa Alpha Psi Fraternity and is a Virginia High School League Basketball Official. Mavenz Management and Technology Services Private Limited launched a unique knowledge networking site for people who wish to teach and or learn any skill, science or activity that may be of interest to them. Kenlighten allows for user to register for free and subscribe to tutorials created by other users. The tutorials can be created in various forms including videos, audio, documents or presentations. The founder and CEO of Mavenz, Mr. Nitin Narayan said, "I think Kenlighten has the potential to change the way our world learns. No borders, no barriers - it definitely will shrink our world further. It could be a very rewarding experience for people who have a penchant for teaching or are looking to share knowledge they have accumulated over years of experience. So the baby boomers, retired professionals, technical authors, professors, lecturers, professional trainers or any other knowledge workers can share their knowledge here with other users for free or for a price of their choice. Even a housewife or a granny, who believes she is an excellent cook, could sell her recipes here. Take this opportunity to make the change happen. Teach one, learn from another, grow as individuals. Come Kenlighten the world!" He is the Founder CEO of Mavenz Management and Technology Services Private Limited – a consulting and software services company based in India. Kenlighten is a unique knowledge network with a mission to make knowledge available to anybody, anytime, anywhere. Sameer Bhatia has been in touch to share with us the news of their next upcoming free educational tool. 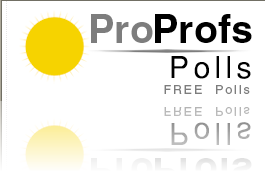 ProProfs Polls looks like a good powerfull new interesting features. Check it out now! 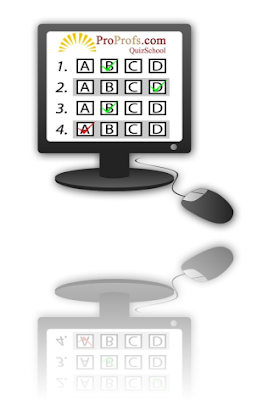 ProProfs Polls now allows any educator to ask their students for opinions & answers through free online polls. ProProfs polls can be posted on ProProfs own destination website centered around opinions /polls with a ready mass of more than 120K registered users, or shared directly with your audience on your your website, blog or social network through a widget. Private polls for specific groups are also supported. ProProfs Quiz School is a comprehensive free online quiz maker that also offers a large library of quizzes.